When choosing games for an Easter party for adults, you can either look back to your childhood for ideas or choose games you have played at other events and add an Easter theme to the game. 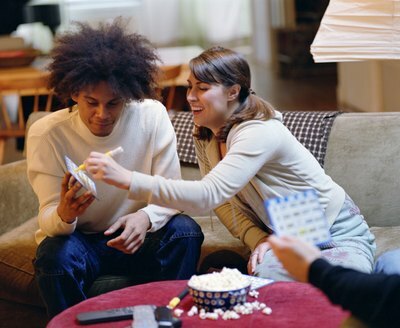 The games can be simple ones that can be played as an ice breaker, such as a game of bingo. They can also be competitive games played by either individuals or teams. When awarding prizes for Easter party games, choose Easter-themed prizes such as candy or Easter baskets filled with a variety of items. Dye eight Easter eggs, with two sets of four that are the same color. 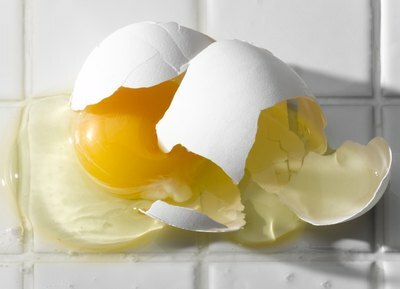 Use one regular hard-boiled egg that has not been dyed as part of the game as well. Choose one of the two players to toss the plain egg into the center of a grassy playing area. The two players then alternate turns trying to toss one of their four eggs of the same color closest to the plain targeted egg. After both players have tossed all four eggs, award a point to the player that is closest to the targeted egg. If a player has one of her eggs touching the targeted egg it is worth two points. The first player to 11 points wins the game. For the Egg Toss, you can hard-boil the eggs and dye them if you wish--the game is messier and more entertaining if you use raw eggs. Have players pair up in teams of two, and start the game with the players on each team standing 2 feet away from their partners. Give one player on each team an egg. When the referee blows a whistle, each team must toss an egg from one player to the other. If the egg hits the ground or if the egg breaks, that team is eliminated. The players on each of the remaining teams must take one step backward. Blow the whistle again, and continue until only one team is remaining. Search for eggs using flashlights. 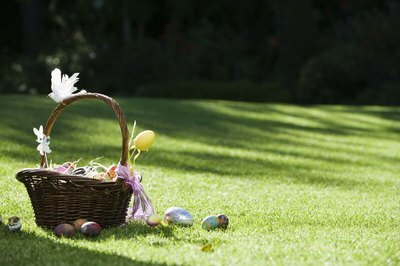 Before your guests arrive, hide eggs outdoors in the yard. Make sure you write down where they are, as they will be hard to find at the end of the game without a list. Wait until it becomes dark outside. 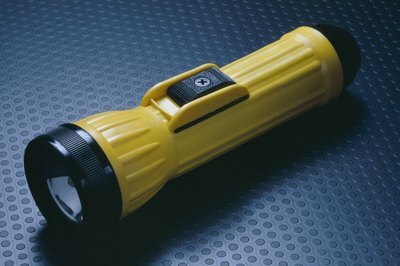 Give each player or team a flashlight to use. Give the teams or individuals up to 30 minutes to find the eggs. The winner can be determined by who finds the most eggs, or you can assign points to eggs depending on how hard they are to find, with the player or team scoring the most points winning. As your guests arrive at your Easter party, give each guest a blank five-by-five grid and a list of Easter themed words. Ask each of your guests to choose 25 different words and fill in their bingo cards using those words. This can give your guests something to do while waiting for everyone to arrive at the party. Once everyone has filled out their grids, start calling off words at random from the list you supplied. The first player to have five spaces on his bingo grid marked off in a row is the winner. Award the winner an Easter-themed door prize.